Spice is a common name for a class of synthetic drugs known as "synthetic cannabinoids" which were originally created to mimic the body's reaction to THC, the psychoactive component in marijuana. 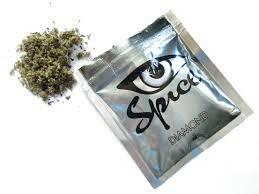 Spice, however, is not just "fake marijuana". Spice provides a high that is distinct from marijuana and is uniquely addictive and dangerous. Spice is currently illegal to possess, use or distribute in the state of Indiana. Additionally Indiana has "lookalike" laws which ban drugs which are created to look like other drugs. If you are concerned about the warning signs of synthetic drug addiction in the life of someone you know or love, there is help. The resourses page of our website has links to more information about Spice as well as contact information for facilities in Elkhart County that can assist individuals in reclaiming their lives from the influence of addiction.